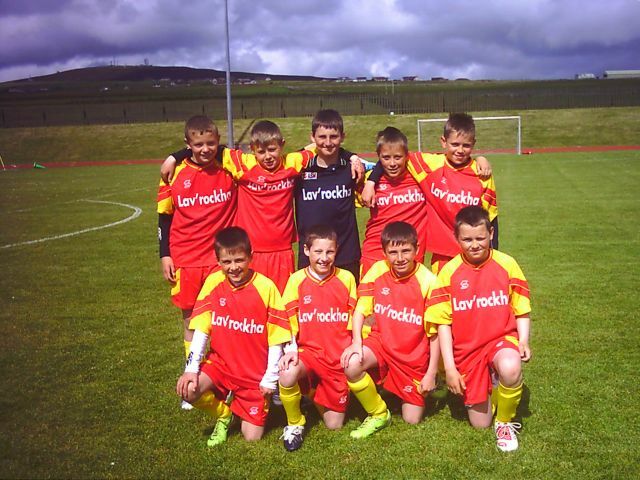 The outdoor youth football season concluded on 12/13 September with the traditional Under 12 club competition organised to coincide with the visit of Lerwick Rangers. This year the competition was enhanced by two other visiting clubs from Shetland - Ness United and Scalloway who both sent two teams. As a result the competition was spread over two days with eight teams competing in an A league and five teams competing in a B league. Weather conditions on the Saturday were miserable with constant rain and wind making playing conditions very difficult. Despite this the teams coped well and after the first days matches East United A and Thorfinn A lead the A competition with four wins out of four games played followed closely by NessUnited A. In the most competitive game of the day East United A beat Ness United A by two goals to nil to establish themselves as favourites for the competition. In the B League Thorfinn B were clear leaders having won all their 3 games by comfortable margins. Conditions on Sunday were much improved and ideal for playing football. In the A League Thorfinn A were well beaten by Ness United A in their opening fixture allowing East United A to take advantage. 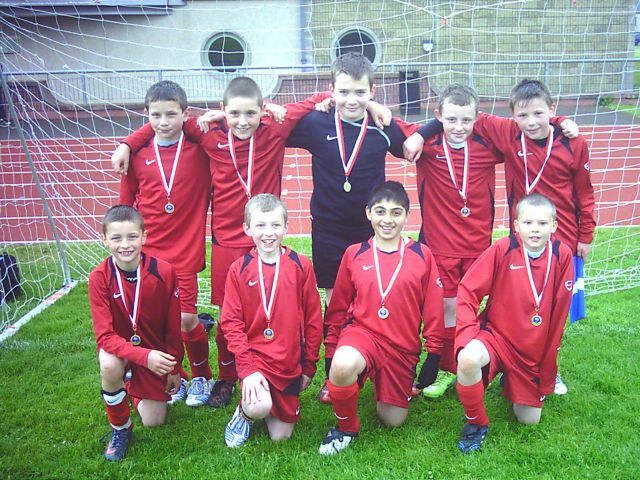 Their lead was never in any doubt at the young East team went on to win all three of their games by comfortable margins to finish the competition undefeated having won all seven of their fixtures without losing a single goal. 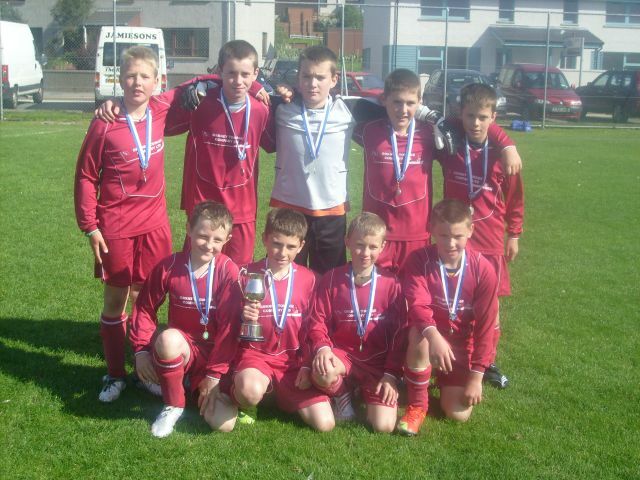 This was another fine competition win for an East United team who look destined for further success in coming years. In the B league Thorfinn B maintained their excellent form of the previous day and finished as comfortable winners with 8 victories from 8 games played. At the end of the competition OYDG Chairman Jim Cormack thanked all those who had helped make the competition such a success, in particular the visiting teams from Shetland. It is hoped that the teams visiting for the first time will become regular visitors in future years. The medals were them presented to the winning teams by Michael Delday, the retiring Indoor Primary Football Co-ordinator. East progressed to the semi-final despite losing in the group stages 2-1 to Lerwick Thistle. In the semi-final they won a very tight game 1-0 against Lerwick Spurs to progress to the final and a rematch against Lerwick Thistle. The final was a very close game with both sides playing some good football without really having a goal scoring opportunity. Towards the end of the game the East boys were really starting to tire after the overnight journey and did really well to finish the game 0-0. Next came the dreaded penalties and with both teams scoring their first two Thistle missed their third leaving East needing to score and win the cup which they duly did. Scorers for the East team were Logan Peace, Liam Delday and Ciaran Drever. This was a series of excellent matches in fine weather. 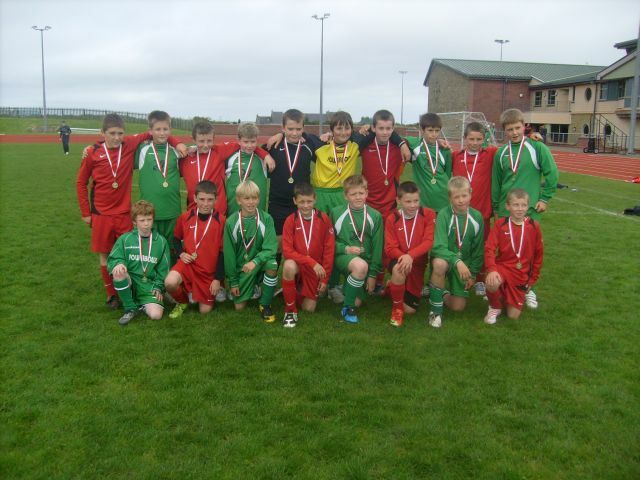 In the Under 12s seven a sides, Orkney and Shetland each fielded three teams, Caithness two and Inverness Caley Thistle two. All teams played well with a good standard of football on display. In Group1 Shetland Navy topped the group after Orkney Red had lost to Caithness Black when only requiring a draw in their final group game to proceed to the final. In Group 2 Shetland Blue topped the group to make it an all Shetland final but they did not have it all their own way having to come back from 1-0 down against the young Orkney Wine team eventually winning 2-1 and also having a 0-0 draw with ICT. In the final Shetland Blue scored right from the kick off and never looked like getting beat eventually winning the game 3-0. Well done Shetland Blue. Jim Cormack, Chairman OYDG, concluded the day by making the presentations. He thanked all the teams, the coaches and referees for a great day's football. He also thanked Viking Analytical Services for their continued sponsorship and the Pickaquoy groundsmen for their work on the pitches.